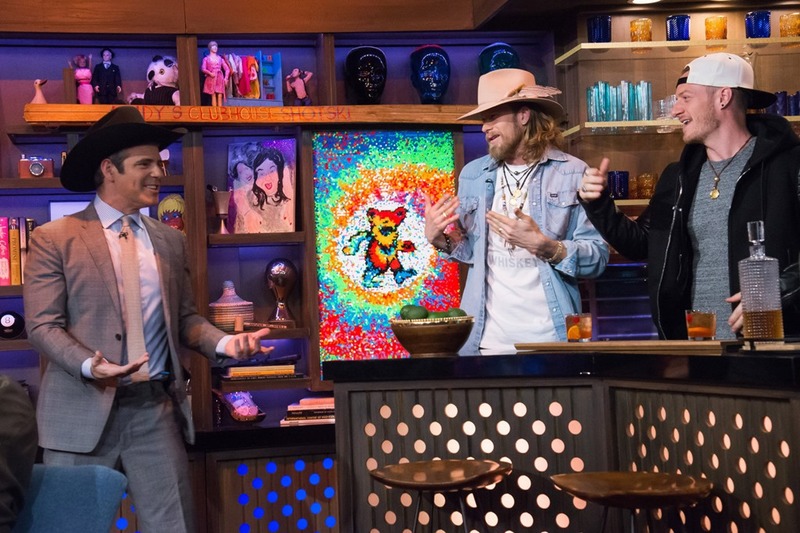 After FLORIDA GEORGIA LINE lit Saturday (3/18) on fire with a sold-out DIG YOUR ROOTS TOUR 2017 stop in Newark, NJ, they kept the party going with Old Camp Whiskey as the lively “featured bartenders” on Bravo’s late-night cult-favorite WATCH WHAT HAPPENS LIVE with Andy Cohen the following night (3/19). OLD CAMP PEACH PECAN WHISKEY cocktails for celebrity guests Tyson Beckford, Kenya Moore (Bravo’s The Real Housewives of Atlanta), and the rowdy live studio audience in the Bravo Clubhouse. 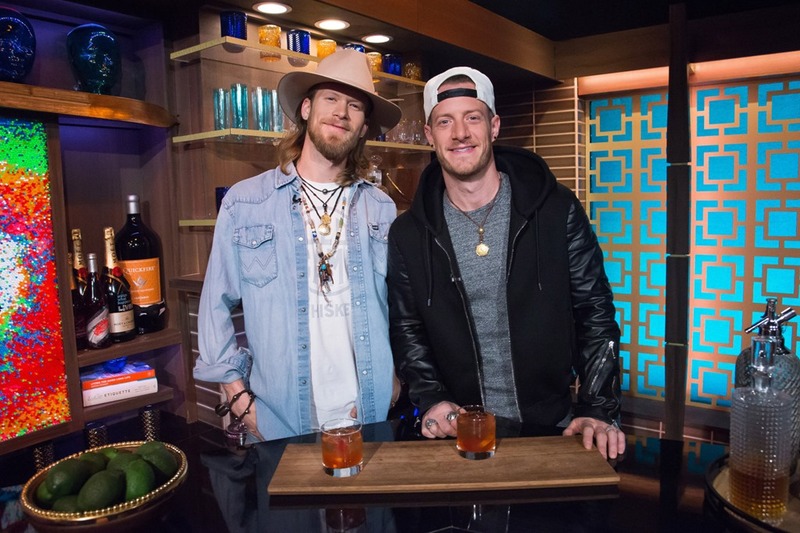 FGL headlined the legendary RodeoHouston in Houston, TX, on March 20, before picking up their DIG YOUR ROOTS TOUR 2017 now on the road with Dustin Lynch and Chris Lane, plus Seth Ennis, Ryan Follese and Morgan Wallen on select dates. It crisscrosses North America with sold-out stops from Las Vegas to Quebec, Canada, through May 6. THE SMOOTH TOUR 2017 featuring Nelly and Lane directly follows by kicking off June 2 in Austin, Texas, with three additional stadium concerts slated in Boston, Minneapolis and Chicago – including Backstreet Boys. Sponsored by Advance Auto Parts and presented by Old Camp Whiskey, Live Nation is the official promoter of the tour. The three-time reigning ACM Vocal Duo of the Year is vying for five esteemed categories at the upcoming 52nd ACM Awards – Entertainer of the Year, Album of the Year (DIG YOUR ROOTS), Single of the Year (“H.O.L.Y.”), Vocal Duo of the Year and Vocal Event of the Year (“May We All” featuring Tim McGraw). Taking place for the first time in Las Vegas’ new T-Mobile Arena, the star-studded event will air live April 2 on CBS at 8 p.m. ET. The duo has previously won six ACM Awards. For more information on Florida Georgia Line, visit floridageorgialine.com.